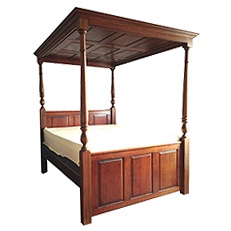 Makers of handmade four poster beds, The Four Poster Bed Company is based in the UK. 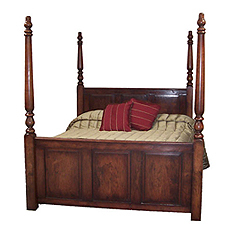 We make furniture, including, high quality, bespoke, traditional and modern pencil beds, four poster beds, and other furniture. Our company use sustainable and locally sourced Oak, and Ash. 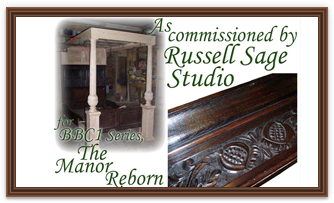 Our clients also have handmade dining furniture, e.g. dining tables, dining chairs, sideboards, dressers, corner cabinets, and servers. These are available in any size, finish and colour. We can solve the problems of your modern home with furniture storage, e.g. DVDs, TVs, CDs, wine, shoes, clothes, computers, and so on. This storage can be used in bookcases, wardrobes, dressers, coffee tables, etc. Thus keeping your home stylish and uncluttered. 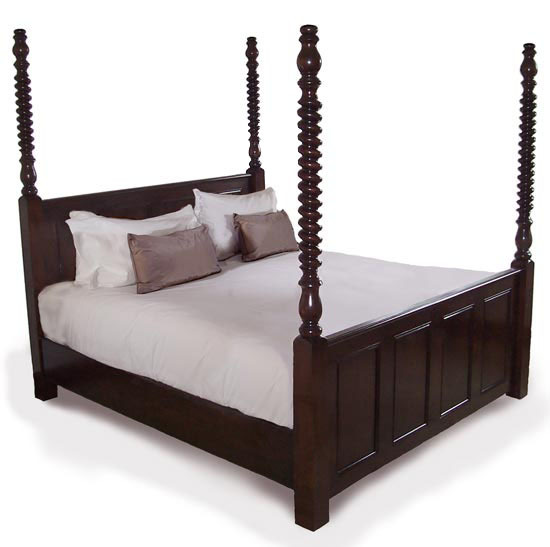 Treat yourself like royalty and feel the quality of one of our custom made four poster beds, a hallmark of British craftsmanship. The award winning furniture maker, Stephen Edwards, brings together a small team of British craftsmen. 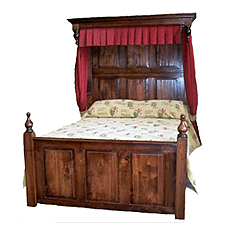 With traditional cabinet making methods and experience, we make your heirloom furniture. Because we put our customers first, we plank and dry the wood ourselves. All of the timber is hand selected; through the processes of wood-turning, hand carving and sanding, your furniture or bed is assured to be the highest quality. 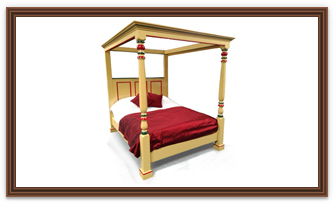 Finally, we hand finish and polish your four poster bed. 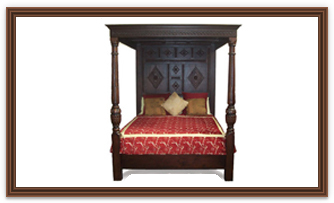 We will deliver and install your four poster, always keeping our eye on the detail.